One of the biggest challenges streamers face, especially smaller streamers, is avoiding dead air. What is dead air? 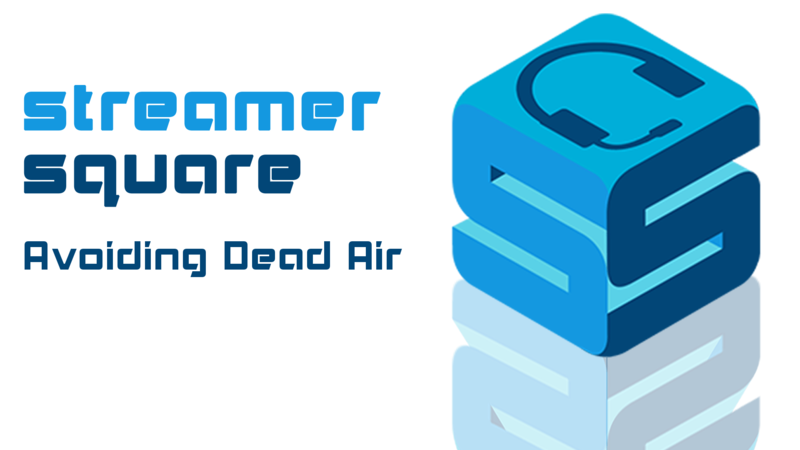 Dead air is a point in a stream or cast where there is a lull in activity from caster, chat, and/or game. The impact dead air can have on your stream can be quite negative, possibly resulting in people leaving because they no longer feel engaged. There are a number of ways you can make sure you are engaging your viewers at all times to avoid dead air, here are a few. Food – Always a good one, its something everyone has in common since we all have to eat! Ask chat about their favourite food, or talk about your own personal favourites. What’s the strangest thing you or anyone in chat ever ate? Upcoming events – Events such as the Olympics and holidays are always good, see what people’s plans are for them. Whether people have played the current game – Ask about their experiences, whether they enjoyed it, and if they are enjoying you playing it. General game topics – What kind of games do your viewers like? What games are they looking forward to? How people found you channel – Its always interesting to find out and its a great way to connect with your viewers. Weather – As boring as it may seem, weather is something that everyone can relate to and can chime in on. You can even turn it into a joke asking about it! Music – If you’re playing music, ask your viewers if they like it. If you’re able to and willing, ask your chat for suggestions to what they want to hear. Movies – Whilst everyone may not be a movie buff, they will all have seen a movie at some point in their life. Therefore, movies are a great topic to get everyone involved in, but it is a good idea to be careful with some newer movies because of spoilers. Pets – Discussing what kind of pets people have/had can often be a great topic of conversation, since many people have experience with cats, dogs, or other animals. Does anyone own an uncommon pet? 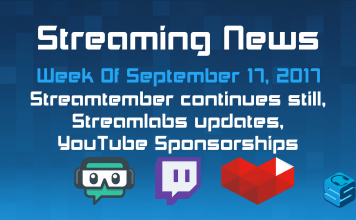 Things specific to your stream – Promote your social media, upcoming stream events, community servers, and other ways the viewers can get involved with the stream. Another way to awaken chat is through the use of channel bots running chat games like roulette and bank heists. Giveaways are a fantastic way to give back to your viewers and community and will often bring a lot of people out of lurking. These methods can often spark conversation after they are over, as chat becomes reengaged. For further information on running giveaways check out our giveaways article. Polls are also a great way to make chat feel connected to the stream. Poll options can range from getting chat involved in the game by making decisions on what you do, to just asking some more generic questions related to the chat topics. Try starting a conversation using our suggested topics, and using a poll to further spark activity. There are a couple of ways you can go about creating polls, one of the easiest through strawpoll.me, but there are plenty of chat bots out there that offer poll functionality and stream integration, like BraneBot and Moobot. Be careful not to spend too much time trying to set up the poll, as you don’t want to disrupt the flow of gameplay too much. Providing something for viewers to listen to at all times is important, and music is a great way to supplement a quiet game. Music will help fill that dead air and will often contribute to a conversation in chat. However, try to avoid music on the extreme ends of the spectrum that may turn some viewers off, like heavy dubstep and screamo. Whilst your choice in music may not be their favourite, selecting stuff that is widely popular will go a long way to helping create an enjoyable environment. Be careful not to set the music too high above the game or your microphone. Don’t be afraid to ask your viewers if the sound level is okay. In conclusion, a good streamer will always do his/her best to avoid dead air, those points during a cast where things have quietened down a little in-game, in chat, and from the streamer. By using these tips to help negate dead air, you can keep your viewers engaged throughout your cast.